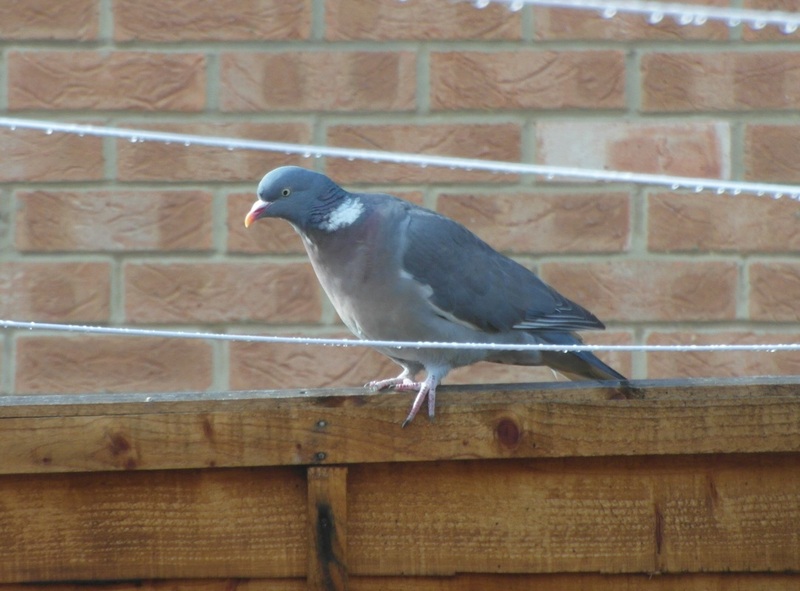 This is a new page dedicated to the wild birds we support outside our current home. 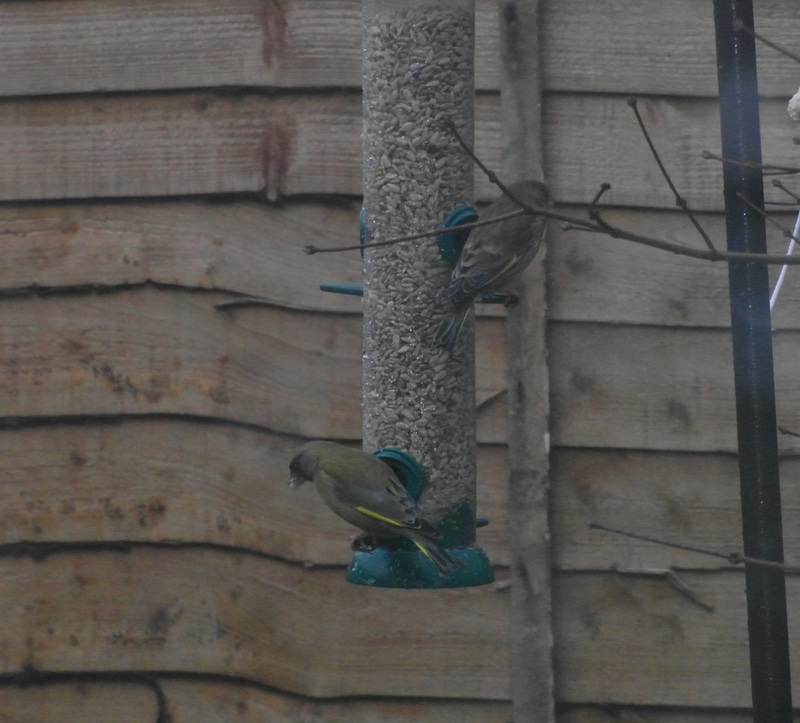 In addition to the finches we keep, we have always put food out for wild birds. This is especially important during the Winter months, as food put out by Humans could help to save thousands of birds each year. 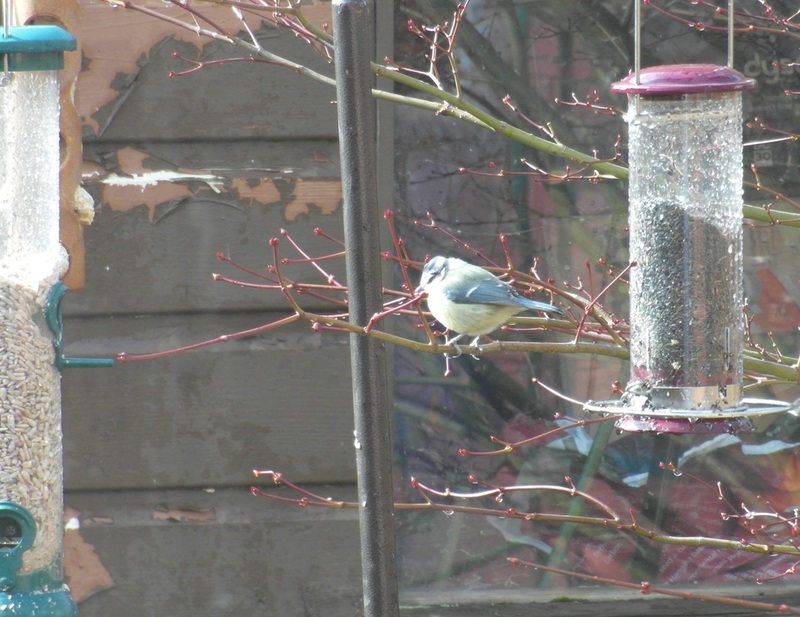 Currently, our back garden has four feeders containing: Fat Blocks, Sunflower Hearts, Nyjer Seeds and Peanuts. 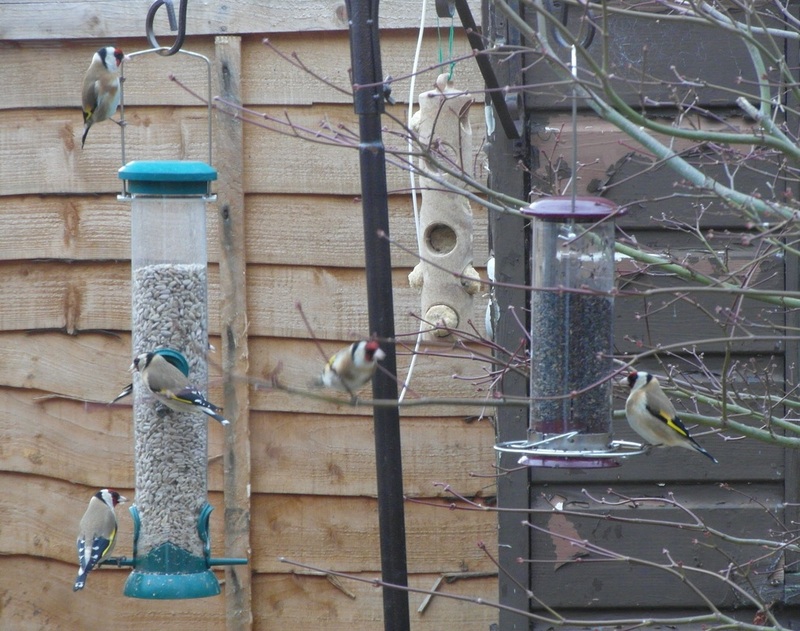 We also have a ground feeder containing Peanuts, and a bird table with Peanuts and Meal Worms. 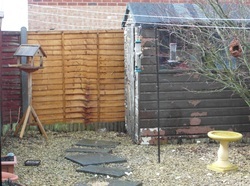 The bird table has also been modified with a length of wood to allow larger birds to feed. There are also two bird nests of different types, though we don't really expect any bird to use these. 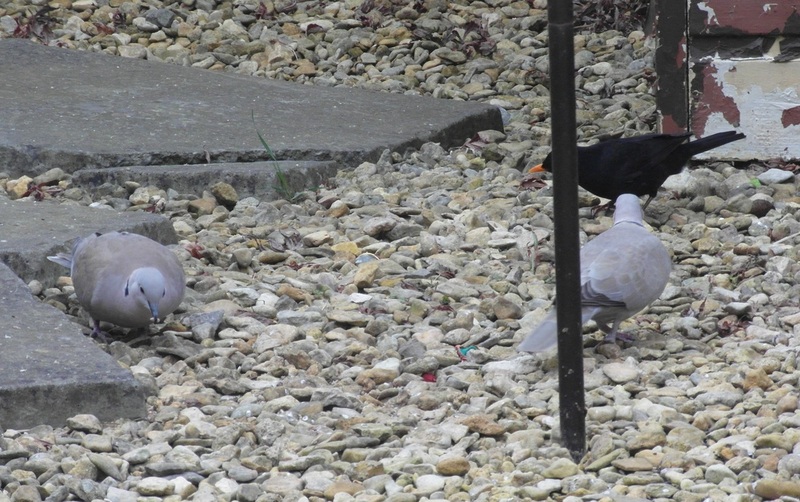 We also have a stone bird bath, though most birds only use it for drinking, so we make sure to clean it regularly. 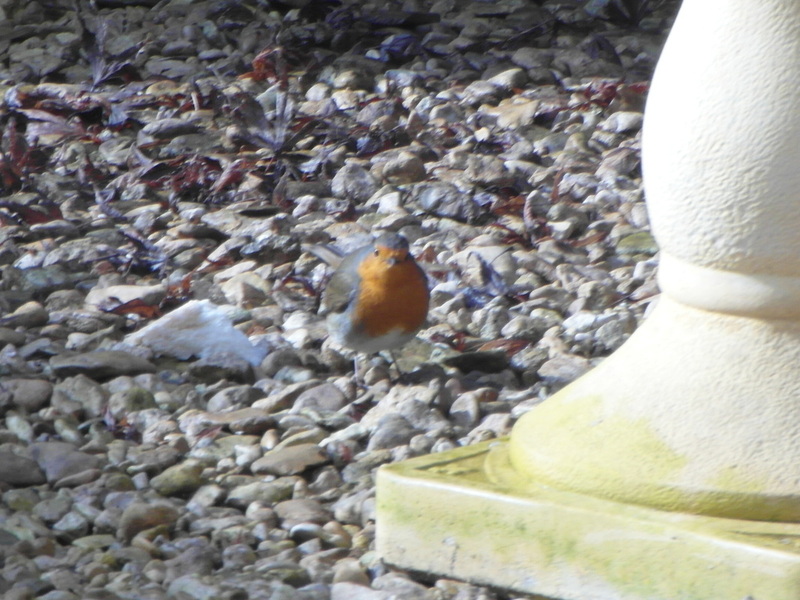 At first and quite naturally, hardly any birds came, but now we have pretty much the same visitors come every day! 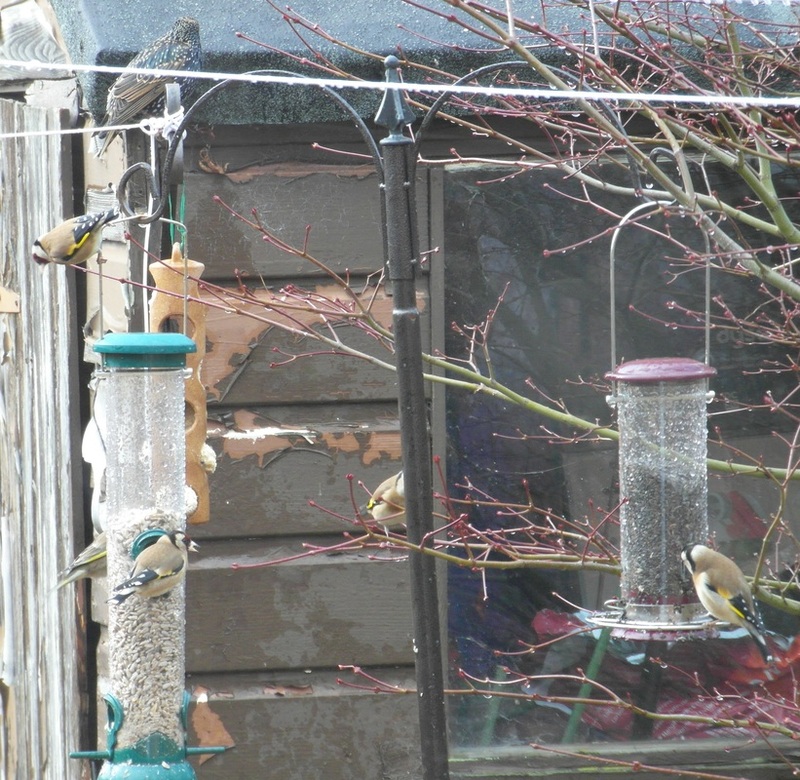 This picture to the right shows four Gold Finches, one Green Finch (points for you if you recognise/can spot it!) 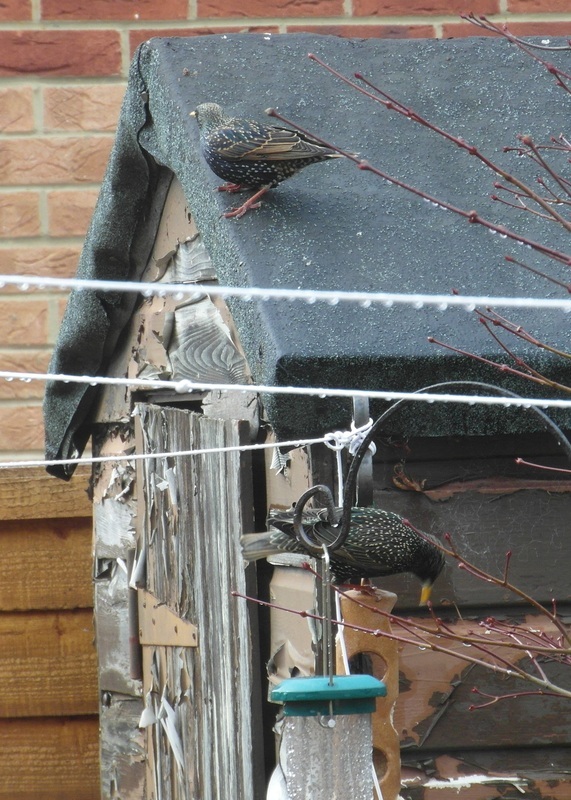 and a Starling all getting along peacefully. Here is a selection of images of our frequent visitors. All of these images were taken within one hour of each other on 4th March 2012. On this day we also saw a Blackcap for the first time in our back garden, however sadly we couldn't get a good enough image to share (fingers crossed we'll get a good image soon! ).